Dental care and dental hygiene is a problem for most people nowadays. 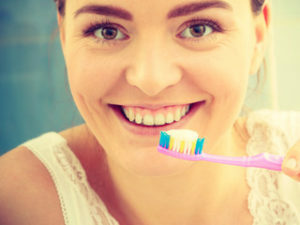 You may have been taking good care of your teeth since you were young, but have you asked yourself if that’s the proper way of taking good care of your dental health? There are some essential dental care tips for healthier teeth you should follow to maintain good oral hygiene. Having bad oral and dental hygiene can make it difficult for you to socialize with other people. For example, you’ll feel uncomfortable talking to someone when you have bad breath caused by poor dental hygiene. If you don’t take the proper care of your teeth, there will be a toothache caused by dental cavities and tooth decay. Only proper dental and adequate oral hygiene can avert these problems. 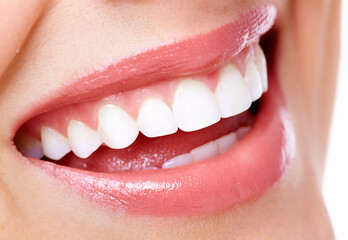 So here are some dental hygiene tips to help you achieve strong and healthy teeth. Brushing your teeth once a day is never enough. You should at least brush your teeth twice a day after meals, much better every after eating. You should also use dental floss first to clean any food specks. If you think that cleaning your teeth hastily would be enough, then no, it will never be enough. Proper dental hygiene requires you to brush your teeth for at least two minutes, covering all sides of your teeth. There are so many amazing benefits of brushing your teeth twice a day you should know of. “Don’t neglect your tongue.” This phrase is a simple reminder that while brushing your teeth, you should also include your tongue. Failing to brush your tongue would result in bad breath and mouth odour. Plaque doesn’t only build up on the teeth, but it can also build in the tongue. So, start brushing your tongue gently while brushing your teeth to prevent oral health problems. Toothpaste is essential in brushing your teeth, but not all toothpaste has fluoride. You have to make sure you use toothpaste with fluoride. Fluoride is a necessary element for toothpaste as it is the primary defence against tooth decay. It helps fight the bacteria around the teeth that can cause tooth decay, and it protects the teeth from having oral health problems. Crisp fruits and raw vegetable are essential for the oral health. Fresh fruits and vegetables contain nutritional values that can help the teeth be in its healthiest form. A lot of fruits and vegetables contain vitamin C and antioxidants that can help protects the gums and lessen the bacterial infection in the mouth. So, for healthier teeth, you should consider eating foods that are good for your teeth, such as healthy fruits and vegetables. Choosing the right toothbrush can also help your teeth in eliminating small food particles in between the teeth. Toothbrushes have different sizes, from small to medium, and from soft to hard. It depends on what your dentist think that is most suitable and helpful for you. You might ask about why water is essential. Water is crucial for the total health of your body, and it is also necessary for your teeth. You might not be aware, but saliva is one of the most important factors that keep your teeth healthy. Saliva production is possible when there is enough water in your body. Always end your dental hygiene by gargling after brushing your teeth for better results. Using a good and reliable product can clean the areas where your toothbrush can’t reach. Mouthwash is essential for getting the excess food debris that can irritate and infect your gums. It’s as simple as putting water on a drinking glass. After brushing your teeth, you should clean your toothbrush to prevent the bacteria from breeding. Just rinse your brush in the water after brushing and allow the air to dry it. Change your toothbrush after three to four months of usage. Changing your brush is essential, as the efficiency of the bristles of your toothbrush deteriorates the longer you use it. Applying all the said dental hygiene tips is not an excuse for not going to your regular dental check-ups with your dentist. It’s always essential to have assurance coming from your dentist about your dental health. It’s better to do your regular check-ups, as there are other dental issues that your dentist can identify. Take note of the warning signs that show you need to visit the dentist, before it becomes worse. Dental care is always essential to your daily life. With the proper care and check-up, you will have healthy teeth. If you’re having problems with your teeth, seek professional advice from Markham Dental Centre to get help for your dental issues, and for assurance that your teeth will get the best care possible.